Millennials in our intergenerational workspaces are accused of being narcissist, hard to manage, lazy, entitled and not loyal to their employer. And whether these behaviour traits are true or not (and I don’t think they always are), Millennials are changing how we all work and how employees are hired, motivated and rewarded. There are real generational differences and conflict… as well as opportunities for everyone to step-up and change their behaviour. When motivated, Millennials are loyal, hard-working and want to have purpose. It’s been drilled into them that if they go to post secondary education they will get a fantastic job with lots of money and ability to make a difference (they want purpose). But that’s not happening. The jobs are not there waiting for them and there are hundreds of other highly educated Millennials applying for the few jobs there are. Let’s face it – people of any generation would be disheartened. I believe Millennials bring more +’s to the table than –‘s. That said, I am the fist to say Millennials have to clean up some behaviours – like their writing skills. Sadly, one of the big intergenerational challenges many Millennials face (and the easiest way to ruin their reputation and sideline their success), is sloppy spelling, punctuation and sentence structure. Millennials are comfortable with quick moving, flat organizations – while Boomers are used to hierarchy. When Millennials were kids, they went to their coach or teacher when they had a question. At work, if their boss isn’t available they will innocently move up the ladder (or sideways), to ask the next best person. In addition, they’ll also likely go to Google, so will already have a second opinion that they’ll want to include in a discussion about their question. When their supervisor says to do XYZ, Millennials immediately think “Why?” This is not confrontation or questioning authority, experience or leadership skills… it is one of value-add. They simply want to do what is best and learn from the experience. The challenge is that Boomers are not used to explaining every decision (and may see requests as confrontation). Boomers and GenXers have to accept Millennials want flexibility. They work to live, not live to work. Since they were children Millennials were learning and engaging from morning to night… that is how they were raised. Most organizations expect (although not formally documented), employees to check and answer email throughout the evenings and on weekends. So, what is the big deal if your employees get to the office at 9:30AM? Chances are, they were answering email all night – and all morning. So, business leaders have to put aside seeing everyone in the office at 8AM and be OK with a 9:30AM… or 10… as long as their work is getting done. The one thing that Millennials are good at is change. They come with all of the new age technology and many lived social experience that employers want. They are hard workers, as long as senior management stop being ‘the boss’ and enjoy demonstrating their leadership skills and being their mentor. Leaders and mentors give guidance and direction – they open doors and coach – and that is what Millennials want. Leaders have to get used to a smartphone on their desk where they check their social media accounts from time to time. That flexibility helps leaders retain engaged, smart and committed employees. But flexibility and respect go both ways – with the ‘give’ from their leaders, Millennials will be happy to ‘give back’. Your request to turn off their smartphone during meetings and conference calls will be met and respected. Just as all great athletes have a natural athletic ability, they still must study, practice and make a few mistakes; the same goes if you want to be a great leader. Investing in leadership development always pays off because while there may only be one big winner at the Olympics, companies are able to have many great leaders. The responsibility of a great leader is as a visionary, a communicator and a mentor, not a taskmaster. Employees want to be proud, contribute and get better/learn. So, how do companies not only support/retain/mentor promising employees, but prepare employees to be their leaders in 1,2, 5 years? The simple answer is to invest in leadership training and leadership development. Leaders define goals, teams create project solutions. An important trend we see in leadership style is to break larger projects into smaller projects (discussed in Part 1). Smaller projects can be managed more easily and they provide employees with an sense of achievement, creativity and collaboration. Smaller projects also work well for people from different generations. For example, Millennial and Generation Z generations typically enjoy a faster pace and more frequent wins/accomplishments. 1 large project broken into 5 smaller projects. As tasks are broken down into smaller components, the overall vision of the project and the company must be clear to the leader and shared with the team members. Each team is set with a project – and yes, some team members may overlap and be on multiple project teams. Nevertheless, effective time management focuses each persons efforts. The vision of the leader allows for each individual contribution to fit into the bigger corporate plan, even though the pieces are designed independently. Similar to how guitar strings are designed and manufactured in different places and perhaps different companies, they still sound as expected because standards are set and followed – they are part of a greater global vision. The objective of the small, collaborative team is to make decisions quickly. Only if the team is stalled does the leader get involved or to remind the team of the goals and help them move on. Define work goals before work begins. The leader defines the goal. The team decides what to do to achieve the goal. The team estimates how much time the work will take. The team decides how to do the work to achieve the goal. The leader gets involved if the teams work will risk success but does not get involved if the team follows a path that’s different from how they would accomplish it. What we find with a collaborative team is that the ideas are what become important – decisions are made based on merit of the idea vs. who had it. This often results in the smaller project exceeding expectations. A common challenge we see is when leaders get busy doing the work their staff should be doing. As soon as that happens a leaders focus is taken away from their important work; project vision and supporting/retaining/mentoring employees. Also, the project solutions often become less creative, take more time and cost… why? Because instead of the best solution being adopted, the team feels pressure to adopt their leaders solution. Employee engagement also drops and employees have less pride in the solution (and this is a precursor to turnover of valuable talent). Understanding generational differences at work is only one of the challenges leaders have, but it is important when a leader is working out how to keep valuable talent engaged. No matter what generation your employees belong to, having a clear vision and instilling a sense of pride and accomplishment is one of the best ways leaders can create value for customers and shareholders. Bruce Mayhew Consulting coaches leaders and facilitates business etiquette courses including Business Writing, Email Etiquette, Time Management and Mindfulness. Business is about people — it always has been although sometimes we forget this and put the bottom line before customers and employees needs. In the short-term we get away with the putting bottom line first, but soon goodwill begins to drop, employee and customer loyalty drops and turnover increases; creating a very risky and more expensive organizational challenge. And while human capital is an organization’s most important asset, in today’s job market employee loyalty is low – in part I believe because employer loyalty has been on a steady decline for the last 30 plus years. Many employees wonder why they should be loyal if the company isn’t. So, most full-time employees (especially Millennials), see themselves as entrepreneurs who are working a contract and happy to move on. Why? Because all the evidence has taught them they are dispensable. A Bruce Mayhew Consulting I enjoy helping leaders create leadership development plans and create great teams. To help you do your own not-so-quick analysis of the state of your leadership development plan, here’s an extensive list of 20 important leadership development goals. The leadership team need to know and support its business strategy, key objectives and stakeholders of the organization. Without doubt I believe having and sharing a vision is one of the most important goals of a Leader. Their next most important role is establishing and supporting their team… what I will call Talent Management (point 2). I’ve mentioned in some of my other blog posts how during one of my corporate jobs I had a boss who rarely shared a clear vision with the team. And he was so involved in the ‘doing’ of our work that he became a bottleneck for productivity and a significant drain on moral and creativity. The result was the department regularly missed deadlines and frustrated employees (like me), left. This is a big area. Leaders hire (using BEI), by thoughtfully considering the talent AND soft skills required for the job as well as the team/department. Leaders mentor their staff to collaborate and depend on each others talents, look for opportunities to grow and to not be shy about adding their opinion or discouraged if/when another recommendation is made or someone builds upon their recommendation. In best cases, leaders keep a written list of their employees strengths close at hand. Working hand-in-hand with Talent Management, ‘Increasing Knowledge’ is a way leaders better themself as well as inspire their team. One of my most favourite leadership qualities is to always look to improve. Increasing your knowledge or gaining a new skill keeps you fresh and open to new ideas. Whether its reading a book, finding a mentor, listening to a pod cast, group training or attending night-school, increasing your knowledge sets a motivating example to employees. As employees see their leaders participating in training and development and reaching personal goals, they are encouraged to do the same. In addition, great leaders work with employees to plan team and individual goals. Increasing knowledge is critical at all employee levels and supportive step as they set high performance challenges and encourage employees to step out of their comfort zone. 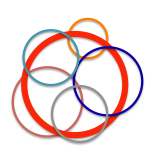 Want to engage your team more? Turn this into a team-building, collaborative exercise by asking team members what group training they want. Work with each employee to create their personal development plan – both for their professional and personal goals. A department head that lacks emotional intelligence is just as unqualified as a department head that doesn’t have technical knowledge and experience. Coaching isn’t easy. Coaching creates an environment that’s conducive to growth – helping individuals succeed by expanding their abilities (knowledge, experience and soft skills), and move up their professional ladder. And lets not forget work/life balance. Leaders who coach help their employees to recognize their strengths, develop their strengths and overcome their weaknesses. Leadership creates and maintains an environment that supports collaboration where team members respectfully share information, decision-making, responsibility, learning and recognition. One of the most important leadership qualities is the ability to guide employees to see how their work and work habits support the greater vision and goals (personal goals, professional goals, team goals, organizational goals). Motivation often sits hand-in-hand with ‘Communication’ (point 16), and together they inspire employees to give their best. When leaders learn motivation skills they maximize effectiveness and improve employee engagement and loyalty. Employee motivation can take many forms – from wanting to work for leaders who make decisions quickly so the team keeps moving forward (point 20), to many other non-military motivators like telling someone they did a great job and/or are a valuable part of the team. Zenger Folkman have done lots of great research here as well. What are the chances that your next best employee lives within 50kms of your office? Slim! More and more employers are using technology to plan, communicate and collaborate virtually with their team members. And, more and more employees are embracing the work-from-home (or Starbucks), lifestyle. Millennials are naturally used to working, managing and being managed off-site… and more and more Boomers and Gen X are seeing the personal and professional benefits. When we avoid a difficult conversations the issue can never get resolved… until valuable talent or clients leave – and then it’s just gone… not resolved. I write extensively within some of my Blog Posts and Difficult Conversation Training that when we participate in difficult conversations we have an opportunity to build trust and respect which means our relationships with other people and/or organizations improve greatly. When we participate in difficult conversations we demonstrate we care enough to bother. 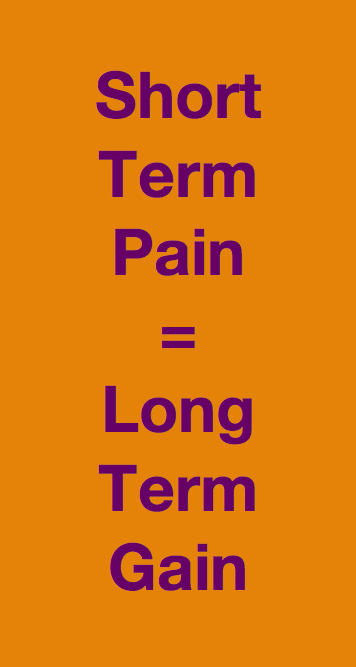 Short term pain = long-term gain. Time management lets us be consciously aware of being proactive – not reactive. Time management and Leadership skills mean leaders help their teams practice good time management skills and focus on their important work / strategic work vs. busy work. Sometimes this means learning how to say ‘No’ or ‘Not Now’ to some requests. Being a good leader also means learning how to prioritize, delegate tasks, set realistic deadlines and avoid distractions. Time management helps employees effectively manage their workload, thereby spend more time on the projects and tasks that have the greatest contribution to personal and professional success. Most people are naturally resistant to change even though change management is necessary to stay current and relevant. A successful leadership quality is the ability to have a clear focus AND also be open to change. Setting change management goals is a first step to motivate employees to embrace change. Then, bring employees into the discussion on how to implement change – letting them add to the discussion and become part of the implementation solution. When you incorporate change management into your training and development plan, you will experience increased employee retention, productivity, and your employees will get used to staying open to change – not resistant to change. Cross training is a leadership style often overlooked by organizations looking for VERY low-cost ways to improve profitability, team performance, collaboration and employee retention. All leaders should use this as a highly beneficial, non-monetary recognition AND investment in their employees. Aside from the confidence that there will always be someone available to get a key activity done when (not if), an employee is sick or on vacation, almost all employees see cross training as their employer making an investment in their personal and professional future. In addition, employees see this as a desirable way to expand their personal and professional knowledge/experience (Win/Win). Moving away from supporting their team, one of the best leadership qualities is to fully understand their industry, who are their competitors and to know what their customers need and value. We all have experienced people who ignore our suggestions or who take credit for others’ ideas. Employees must trust their leaders just like customers must trust your product / service. Employees must trust their leaders to be knowledgeable, fair and to support them when they need to escalate challenges. In addition, employees must feel their leaders trust their judgement, knowledge and that they are acting in everyone’s best interest. My least favourite leadership skill is spending time reading, interpreting and using financials even thought I know its an important part of improving business strategy. This is an important part of being a leader… and now I’m moving on. Leaders know productivity and motivation is tied to communication. Effective leaders openly share goals and vision and other relevant information in real-time… keeping the team up-to-date. One of the most important leadership qualities is how leaders communicate to build a community and an appreciative workspace that also respects work/life balance. Leaders teach their employees to be clear and to get to the point with their verbal and written communication. When communicating, skillful leaders use mindful leadership and mindful listening techniques like not judging, waiting to respond vs. react during conversations, and asking open-ended questions. Mindful leaders demonstrate patience and caring. Leaders also don’t wait for a performance review to tell people how they’re doing. Millennials especially want coaching and feedback on a regular basis – even if all you share is “Thank you – you did a good job on that report”. Leaders notice employees’ unique, specific contributions and they take the time to acknowledge those contributions. Leadership skills also include having respect for others no matter if they are a Secretary or a CEO. Great leaders work with their staff to understand their talents, their passions and their aspirations. The better the leader the higher the engagement. Great leaders put and keep the right people in the right jobs. When people love their jobs they are more productive and creative. If a promotion is the right decision for an existing high achiever, a great leader helps that employee understand any gaps that may exist and help them overcome those gaps (develop a new skill), with coaching and training. Nobody likes to work for an organization or leader that can not make a discussion or move forward. This may also be a leader that gets stuck at 95% on a project and try to hit 100%. While there are places (like space travel), where 100% is important, in many cases the effort to go from 95% to 98% will be similar to the time and cost to get a whole new project up to the 95% level. Great bosses always understand the vision – and allow that vision to make decisions quickly. This means that employees always know what they have to do next… and are always moving forward… learning, doing, accomplishing greatness. Leadership is no easy task – it takes lots of work just to lead… which supports the idea that leadership is a full-time commitment to strategy. Quality leaders can’t be knee-deep into doing the ‘doing’. Realistic – While goals should be challenging, they should also be achievable. Appropriate – for current personal and professional goals. Clear – Managers should easily understand the goals they’re working toward and why those goals are necessary. On A Timeline – When goals have beginning and end points, team members work to reach the finish line. Measurable – The ability to identify progress encourages employees and boosts confidence. Rewarded – If a goal is achieved, it’s essential to give recognition. This heightens employee confidence and encourages further progress. The biggest challenge leaders face is the desire to forgo long-term strategy for short-term gain. Decades of research on leadership styles and leadership skills demonstrate that emotional intelligence and social skills are critical for long-term leadership and organizational success. Bruce Mayhew Consulting facilitates training and development courses including Difficult Conversations, Email Etiquette, Time Management and Mindfulness.